Parents of students in band and orchestra are invited to attend a performance at 9:00 on Friday, December 13th, in the cafeteria. Cook-Wissahickon School is pleased to offer instrumental music lessons on woodwind, brass, percussion and string instruments to interested students. 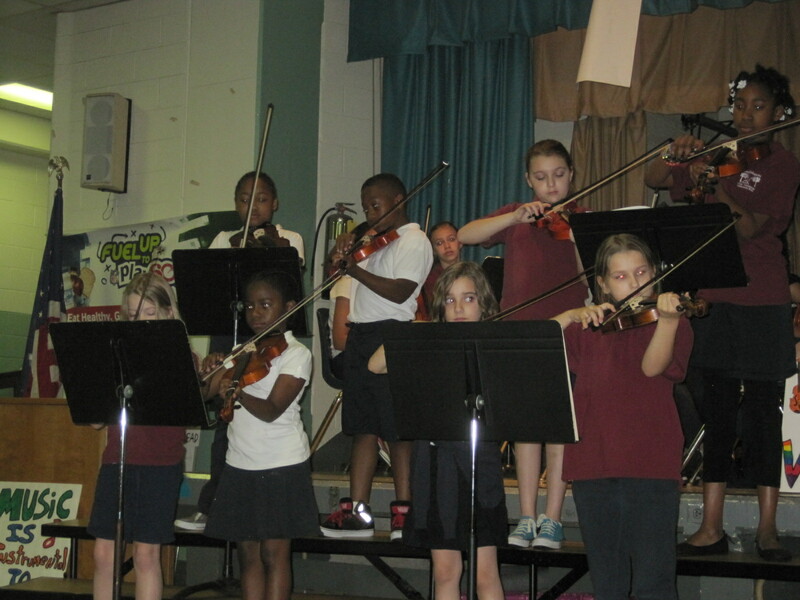 Students interested in learning to play are invited to apply to the program beginning in 3rd grade for string instruments and 4th grade for band instruments. Learning to play a musical instrument opens up a world of exciting opportunities. Students who show a strong commitment to learning an instrument will have the opportunity to play in instrumental music groups at school as well as the possibility of participating in district-wide events such as the “All-City Band & Orchestra Festival.” Your child will be able to study his or her instrument at the high school level and beyond, and some colleges offer scholarships for students willing to participate in band. Playing an instrument provides a great foundation for your child in all aspects of life. Students learn self-discipline, problem solving, coordination, teamwork, and develop increased self-esteem. 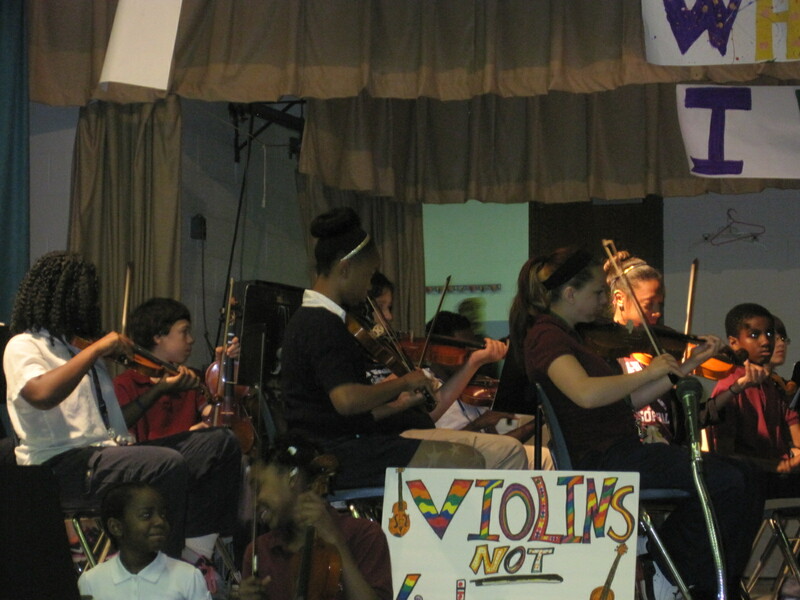 Music also has been shown to have a positive effect on the academic success of students. Students enrolled in the program have lessons once per week during the school day. All students in instrumental music receive a grade on their report card. For more information on how to join, see the Band and Orchestra page on the Cook-Wissahickon Music Department website.